The production of textiles also reflects the sexual division of labor that is found in many Maya communities. For example, women tend to use traditional backstrap looms to produce fabric, while men use treadle looms, a more sophisticated type of loom introduced by the Spanish. And while some women have learned to use treadle looms, men are very rarely (if ever) seen using a backstrap loom. 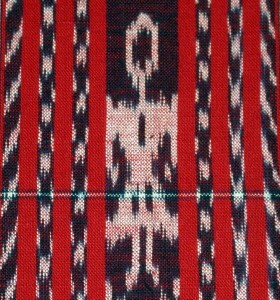 The image on the right above is a detail of fabric woven on a backstrap loom. While this type of weaving may produce thicker fabric, it allows women greater creativity in their designs. As women weave fabric on a backstrap loom, they can add intricate brocaded designs. The detail to the right is from a huipil from the Mam-speaking community of San Martin Chile Verde. The image on the left above is the finished huipil. Huipils such as this would be worn with an ankle-length skirt and a belt also woven on a backstrap loom (such as the one to the right). Treadle looms tend to produce thinner cloth, and the process does not allow for the intricate brocade work common on backstrap loomed cloth. However, men may use tie-dyed thread that produces intricate designs as the fabric is woven. This thread is known as ikat or jaspe. The example to the left shows a popular pattern known asmuñeca, or doll. This detail is taken from a skirt made around 1940 in the town of San Antonio de Atitlan, a Tzutujil community in Guatemala. Even greater complexity can be added to textiles woven on treadle looms by incorporating tie-dyed thread into both the warp and the weft. An example of double-ikat fabric is shown at left. Horizontally, the ikat threads form a sort of curlique design, while vertically, they form a V-shaped design. 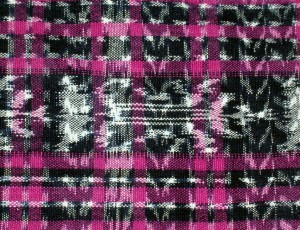 This sample is from a skirt worn by young girls in Totonicapan, a Q’eqchi’-speaking community in Guatemala. While some items can be woven on either a treadle loom or a backstrap loom, some items are woven exclusively on one type of loom and by one gender of weaver. This division of labor by gender is typified by the production of shoulder bags (bolsas or morrals) carried by men. These bags are woven of either maguey fiber in lowland Maya communities or wool in highland Maya communities. Men are responsible for almost all phases of production of these shoulder bags. For the maguey fiber bags, they are responsible for the cultivation of maguey, the preparation of the maguey fiber, the spinning of these fibers into thread, and the weaving or knitting of this thread into bags. In this sense, even the type of fiber woven reflects the sexual division of labor. 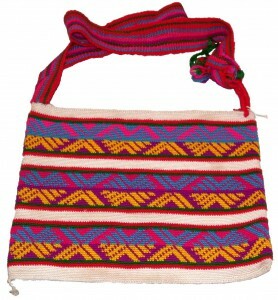 The bag to the left, produced in the Q’eqchi’ town of Solola, is made of maguey fiber. Maguey fiber is coarser than wool or cotton fiber, and today, maguey is not used to make many items. 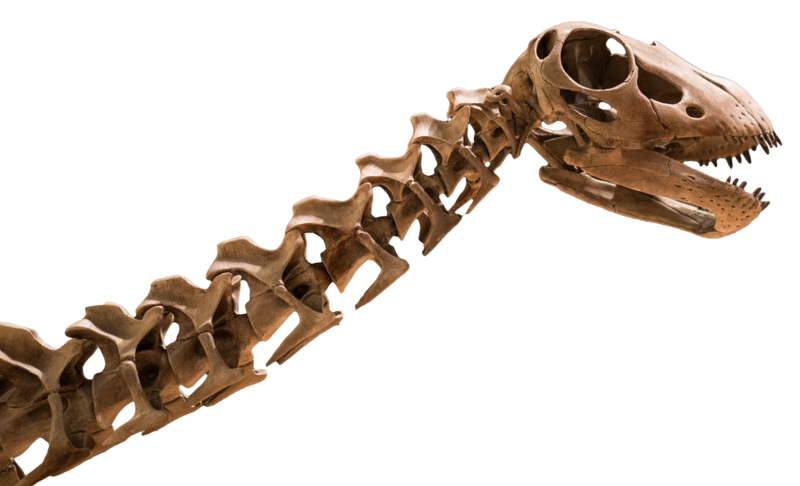 Previously, though, maguey fiber was used in the manufacture of clothing for the lower classes. Maguey comes from the “leaves” of a large cactus that grows in the lowland areas of Mesoamerica. While this cactus gives the fibers to make fabric and crocheted bags, it is more popular for its use in the production of mezcal or tequila. While men may not be responsible for all phases of the production of shoulder bags made of wool or cotton, they alone knit or crochet these bags. This is a common pastime in several highland Maya villages in Guatemala. While many of these bags are used by Mayan men, others find their way into the tourist market, where they are popular souveniers. 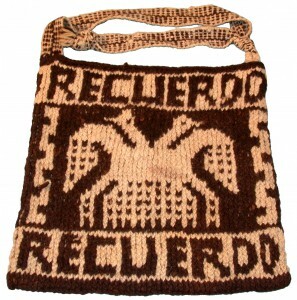 This crocheted bag from San Juan Atitan is typical of those carried by men in the area. Men use these bags to carry whatever they may need during a day. Because of their functionality and uniqueness, some of these bags find their way to the tourist markets. 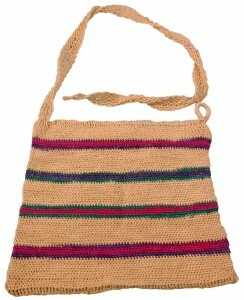 This wool bag was made in the Mam-speaking town of Chiantla, Guatemala. While some bags are used by people on a daily basis, this one is intended as a souvenier, probably from a trip. Recuerdo means memento or remembrance.